Aynor is a small town about 15 miles northwest of Conway's downtown. The two towns are so closely interweaved with communities and farms that the lines between them often blur. Coming from Myrtle Beach on Highway 501, you hardly know you've left Conway and entered Aynor. The population in 2016 by the census bureau is estimated at 763. Much of Aynor is farmland, and many of Myrtle Beach's influential families and business owners originally had large tobacco farms in Aynor. Other farms raised cotton, food crops, and pine trees for turpentine. Aynor itself was originally settled in the mid-1800's by John Eyenner, and was known as Eyenner's Farm. It incorporated into the city of Aynor in 1913 when the railroad added a terminal nearby. Opinions seem to differ whether "Aynor" was named after Eyenner or Mary Aynor Lewis, an early townsperson with nine children. 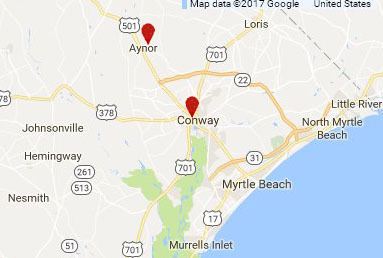 In recent times, Conway's new construction builders have expanded so far north that Aynor has grown as well. The population inside Aynor's school district has increased by 36.3% since 2010. Several communities inside Aynor boast expensive and large estate homes. Aynor High School's athletic dept is famous for having the second-most championship wins in Horry County, offering baseball, basketball, football, golf, soccer, tennis, and most other sports. 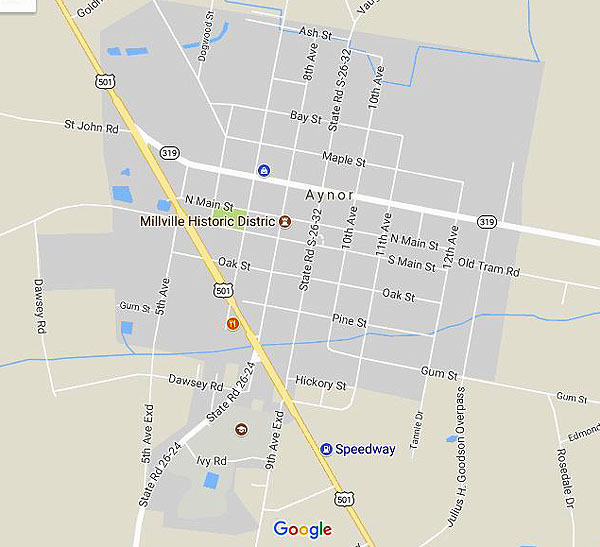 You can browse through the communities in Aynor to see what they offer, and those looking for farmland will find many homes between Conway and Aynor that would allow for horses, crops, or farm animals. Call us for a tour of any of the communities or to visit a property that you may find. Listing courtesy of Coastal Land & Home , Tray Andrew. Listing courtesy of RE/MAX Southern Shores-Conway , Courtney Moore.